It provides us the ability to responsive design with ease. Bootstrap4 is the latest version of BootstrapCSS Framework. Bootstrap was developed by Mark Otto and Jacob Thornton at Twitter. It was developed as a framework to encourage consistency across internal tools. So many libraries were used for interface development earlier, which led to inconsistencies and a high maintenance burden. The initial name of this esteemed front-end framework was Twitter Blueprint. It was renamed and released as an open source project on August 19, 2011. Bootstrap2 was released on January 30, 2012 with a twelve-column responsive grid layout system, inbuilt support for Glyphicons and several new components. 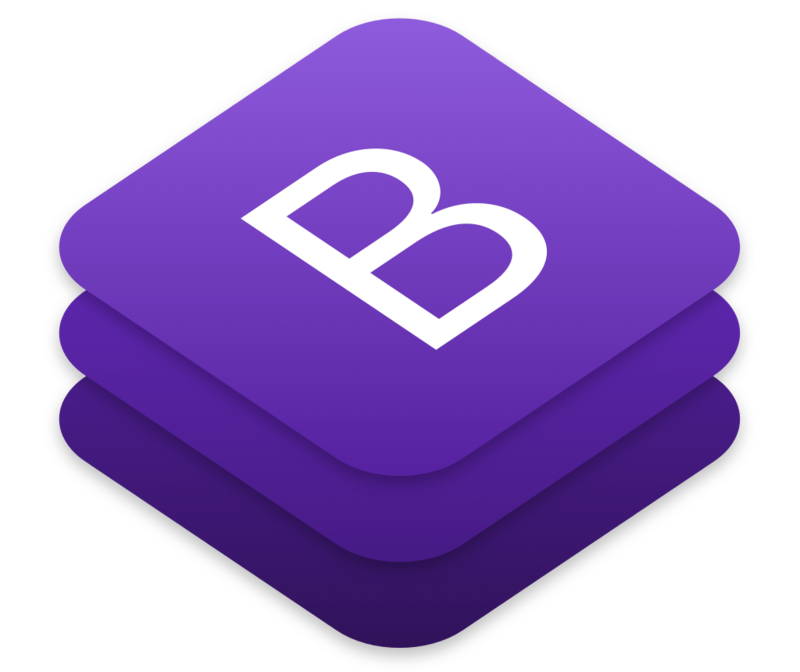 Bootstrap3 was released on August 19, 2013 with flat-design and mobile-first approach. Bootstrap4 was announced on October 29, 2014. Its alpha version was released on August 19, 2015. Stable version was released on January 18, 2018. BootstrapCSS also has a set of style sheets that defines basic styles for all key HTML components. These are used to provide a uniform, modern appearance to text formatting, tables and form elements. BootstrapCSS makes use of certain HTML elements and CSS properties that require the use of the HTML5 doctype. As it uses mobile-first approach, add the viewport meta tag to the <head> element, to ensure proper rendering and touch zooming on mobile devices. Add user-scalable = no to the content attribute to disable zooming capabilities on mobile devices. to make the images responsive by adding a class .img-responsive to the <img> tag. This class applies max-width: 100%; and height: auto; to the image so that it scales nicely to the parent element. Sets background-color: #fff; on the <body> element. For Basic global display. Uses the @font-family-base, @font-size-base, and @line-height-base attributes as the typographic base. Sets the global link color via attribute @link-color and apply link underlines only on :hover for Link style. Normalize.css is a small CSS file that provides better cross-browser consistency in the default styling of HTML elements. Use class .container to wrap a page’s content. BootstrapCSS includes a responsive, mobile first fluid grid system that appropriately scales up to 12 columns as the device or viewport size increases. It includes predefined classes for easy layout options, as well as powerful mixins for generating more semantic layouts. Grid system here allows up to 12 columns across the page. If you do not want to use all 12 column individually, you can group the columns together to create wider columns. Grid system is responsive so, the columns will get re-arranged according to screen size. Switched to Sass. Bootstrap 3 was using Less. Dropped support for IE8, IE9, and iOS 6. Switched from pixels to root ems. Dropped the panel, thumbnail, and well components in favour of cards. Use HTML5 doctype and viewport Meta tag for proper responsive behaviours. For more updated technology related blogs, don’t forget to visit our Tech-Blogs.